Ten Billion Dollars. TEN BILLION DOLLARS. Yes, you read that correctly. That is roughly how much the vaping industry is worth now in 2017 according to Euromonitor International, with the largest market being in the US. Nearly 45% – almost 50% of the global e-cigarette market – is here in the US. And the industry is showing no signs of slowing down. According to the “Global Vape Market – Strategic Assessment and Forecast Till 2021 ” report, The Worldwide Vape Products Market will reach approximately US$32.11 billion by 2021. Vaping supply stores can be found in cities throughout the world. E-cigarettes were first introduced in 2000 as a safer alternative to cigarettes, and since then the technology is becoming more and more advanced. By allowing consumers to control the exact amount of nicotine they are getting per vial, vaping products are helping millions of people all over the globe lead healthier lives by kicking their cigarette habit and nicotine addiction. The power now lies in the hand of the customer, not the company. While there are some vaping products that are owned and controlled by big tobacco companies like Phillip Morris or R.J. Reynolds, the vast majority of e-cigarette and e-liquid companies are small “Mom and Pop” type operations. In addition, vaping is not just changing how vapers consume nicotine, but also the way it is bought. Instead of going to the store every day to buy a pack of cigarettes, vapers are able to keep their supplies at home and refill as needed. After the initial purchase of the e-cigarette, the user simply needs to replace the heating coil every few weeks, and refill their “juice” on average every couple of days (depending on usage of course). By allowing the user to control the percentage of nicotine per vial, it makes it easier for those that are trying to quit to slowly step down their nicotine consumption as desired. This feature alone makes e-cigarettes “the first genuinely new way of helping people stop smoking that has come along in decades.” according to John Britton, the director of the UK Center for Tobacco and Alcohol Studies at the University of Nottingham. The tobacco industry has taken notice to the growing popularity of vaping products, and is doing everything in its power to curb use. Big tobacco is spending millions of dollars annually to support vaping bans, lobbying for higher taxes on vaping products, and encouraging legislation that could potentially regulate their competitors out of business Cigarette companies have entered the vaping market (albeit late in the game) with products often called “cigalikes” due to the fact that they look like cigarettes and often have an LED light on the end designed to mimic the burning ember on the end of an actual cigarette. These products have not caught on with consumers as quickly as “premium vapor products” (or PVP) because they often lack a variety of flavors, have a poor battery life, and are often disposable rather than reusable. 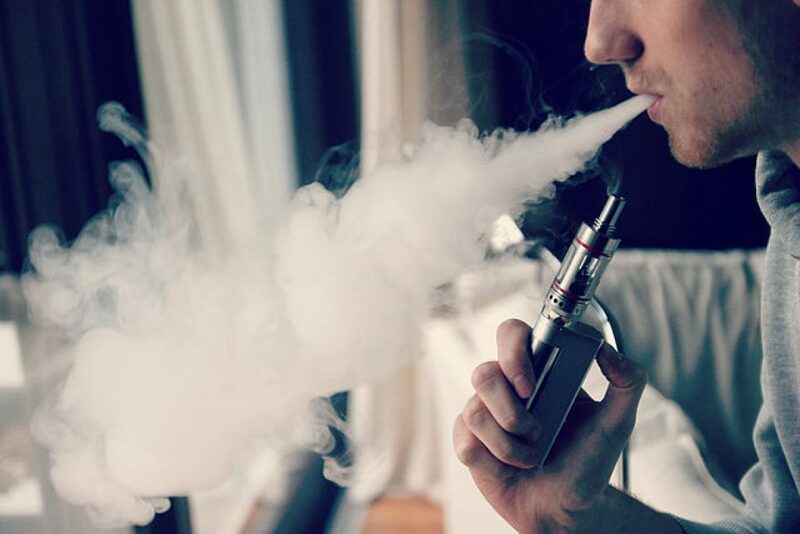 Studies have also shown that premium vapor products are more likely to get people to quit cigarettes when compared to these cigalikes, making them even more threatening to big tobacco company’s profit margins According to a 2015 article on nationalreview.com, PVP and e-liquid products are increasingly more profitable than cigalikes: Wells Fargo analyst Bonnie Herzog estimates that the PVP and e-liquid market in the U.S. is about $1.5 billion and rapidly growing, compared with a stagnant $1 billion market for cigalikes. The vaping industry is also changing the retail environment in which tobacco products are sold. Vapor stores are popping up throughout the world, and this is especially true in the U.S. These stores are adding valuable entry level jobs into the economy, and are directly helping the local economy by paying taxes and rental fees that go back into the community. As the number of vape shops continue to grow, this stimulates competition and innovation, which in turn leads to better and better products. But let’s forget about the facts and figures, market share and profit margins. Let’s get down to real life. Vapers and nonsmokers/ non vapers can happily coexist. Vaping does not make your clothes smell like tobacco and irritate/ nauseate your co-workers, family members, fellow commuters or more importantly significant others. And you can vape in more public locations than you can smoke in – vaping rules vary by city. Vaping does not make your teeth yellow like smoking. Vaping is a win win for you and those around you.